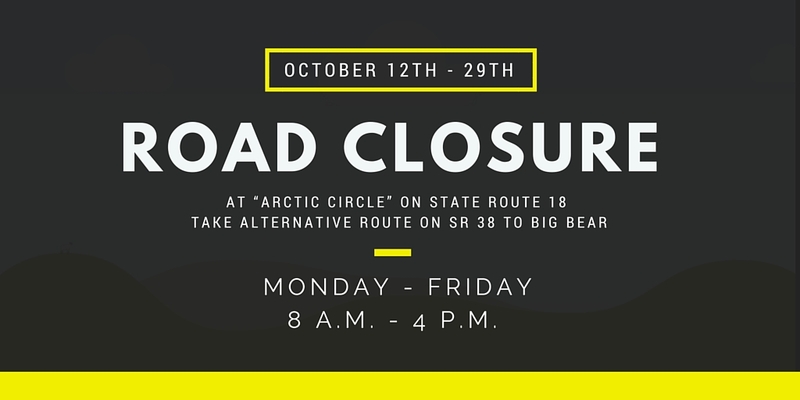 Big Bear motorists and Oktoberfest visitors should plan ahead for evening road closures starting October 12th -29th at “Arctic Circle” on State Route 18 from Monday – Friday from 8 a.m. to 4 p.m. Motorists heading for Big Bear are advised to use SR 38 as an alternative route. 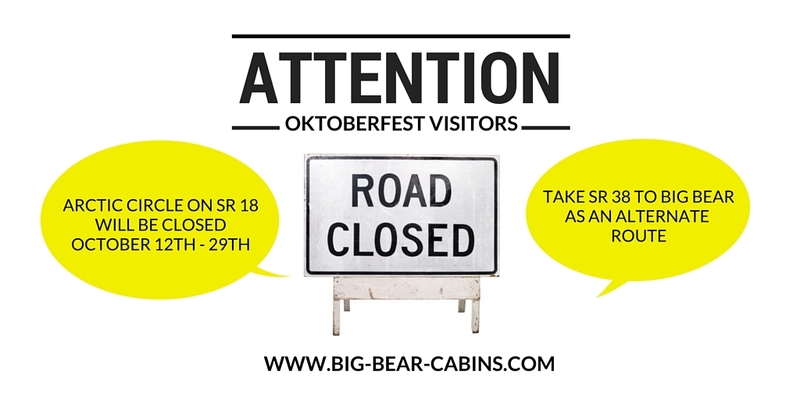 If you are staying with us for Big Bear’s Oktoberfest celebration or plan to make reservations between October 12th – 29th we advise taking the alternative route. If you still need to make reservations, don’t forget to book online for 25% OFF when you stay two nights or more from Friday – Sunday until October 31st. 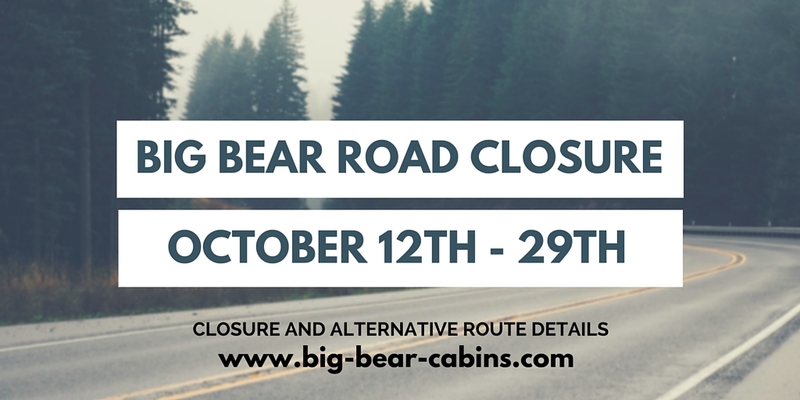 According to the Big Bear Grizzly, Caltrans District 8 spokesperson Shelli Lombardo said the closures are being done at night out of consideration for the public. For recent updates and information about travel tips, weather advisories and area road closures, follow us on Facebook and Twitter. To contact us regarding driving directions or reservation information, call us at (800) 798-3960. For direct information regarding this road closure, please contact Caltrans at (916) 654-2852.